The LP340 LED headlamp is extra bright with 140 lumens, plus has 7-modes: high, medium, low, strobe, and high, low, strobe 2-LED area flood. This headlamp features a non-slip adjustable headband for a perfect fit and a red flood light for optimal night lighting that will not attract bugs. 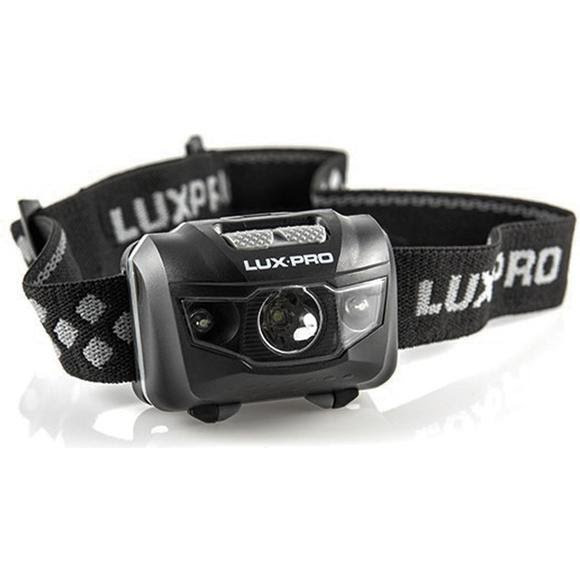 With highly efficient LUX-PRO electronics the battery life and brightness are maximized.